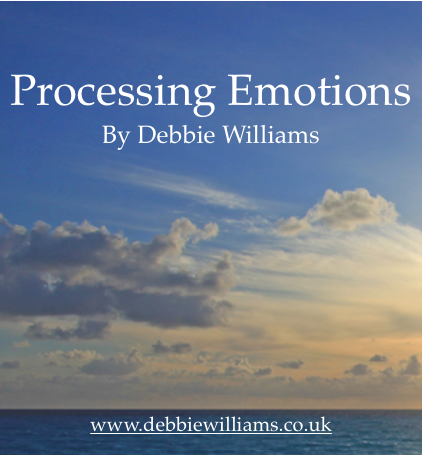 Debbie has helped many clients tackle their addictions, eating disorders, fears and phobias. She is adept at enabling people to achieve their personal objectives. These CDs are complete programmes that offer you your own private therapy session for a fraction of the cost of a one to one. You will learn strategies to help you reach your goal. The extra benefit of a CD is that you can listen to it over and over again. If you need some inspiration to write that book, this recording will really help you in so many ways. When Debbie's son started asking about how to publish a book and started writing several at aged 6 she wondered what was happening as he had shown no interest previously. 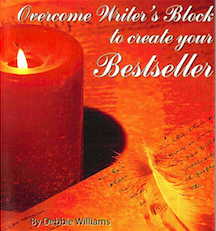 She found he had been listening to the first draft recording of overcome writers block to create a best seller when he couldnt get to sleep at night. Alex went on to be the first child in his school to get a pen license as well as winning the literacy award for his year. His first published book is ''The Secret Spell To Spelling'' which is also available here. We all get overwhelmed occasionally and this recording will help lift the weight of those shoulders, often within the first listen of the download. There are stratigies that will go deep into the unconscious mind to help you to undo overwhelm and to prevent it from building up in the future keeping your life on an even keel. Overwhelming or fearful emotions can hold us back. This trance will help you to process and learn any useful message that they may have for you. Once processed you will feel calmer and more peaceful and able to get on with your life. First of the Budget recordings Why are they this price? 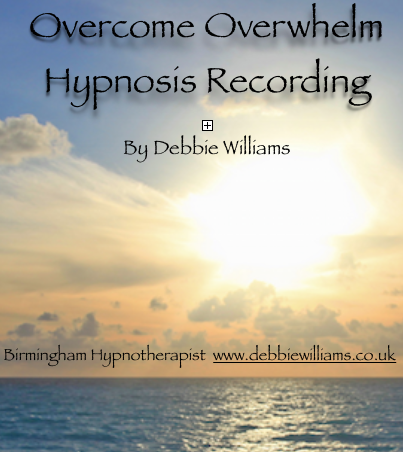 Many of these recordings are actually free on the youtube channel ''Debbie Williams NLP'' but we have been asked if they can be downloaded so we have hosted them so that you can access them as downloads. Pass That Exam Hypnosis is basically Debbie with a mindmap and just in flow first take video recording. The other more expensive recordings have been written and re-written and have complex language patterns in them as well as being studio mastered and edited. Get your mind in the right place to be open to concieve with this short trance. It can help dissolve barriers and mental blocks to pregnancy.